In Venezuela, a team of local Christian churches has collaborated to bring reconciliation between the two dominant gangs in Las Delicias-Carapita, a barrio in Caracas (the capital city) with very high levels of violence and delinquency. This outreach was organized by Pastores Amigos, a fellowship of pastors devoted to bringing God’s healing to Antimano–a district in Caracas–through practical acts of love and outreaches like this one. Pastor Virgilio (from the church Nueva Jerusalem) and Pastor Lugo (from the church Vida Nueva), with support from local police, led the mediation between the two gangs. Pastores Amigos (in Antimano) is an expression of this unity: Since April 2013, members of Pastores Amigos have worked together to conduct one or two outreaches each month in Antimano, each time involving 6-10 churches. “Is it amazing to see the impact of the evangelical church in the community when churches work together to serve the people! We praise God for the wonderful result of this outreach and ask you to continue praying for Pastores Amigos and the united work of the evangelical church in Antimano!” says Xiomara. 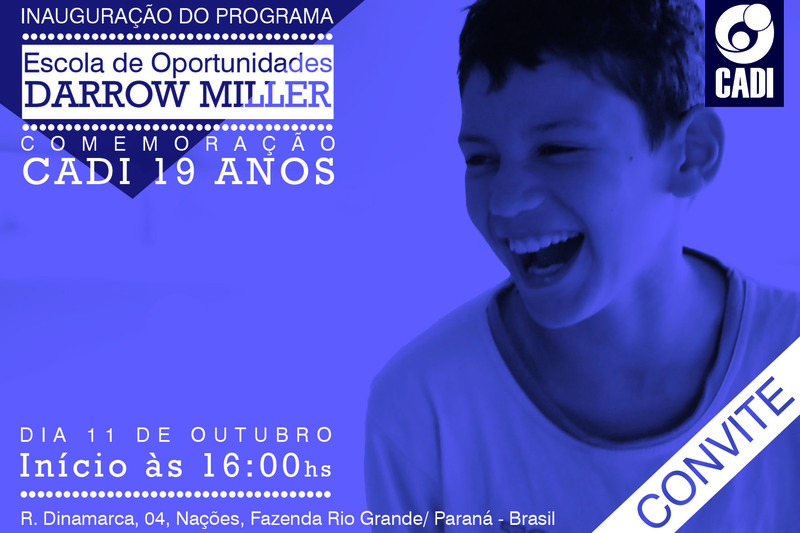 This Friday, DNA friends in Curitiba, Brazil will inaugurate the new School of Opportunities Darrow Miller: a place where children labeled by public schools as “challenging” or “problematic” can receive mentoring through programs including the arts, sports, technology and a greater knowledge of their own rights. “We decided to name this project after you as a way to honor your influence over our ministry since 1993 … and your dedication to the kingdom of God,” Mauricio said to Darrow. Darrow will attend the school’s inauguration on October 11. To start, the school will attend to about 100 students from ages 10 to 17. “We are working for a new reality in the lives of these children and the manifestation of the kingdom of God in their lives,” says Mauricio Cunha, the founder of this school and of the Center of Integrated Assistance and Development (CADI), a Christian ministry with eight bases throughout Brazil serving in the areas of education, health, arts, sports, technology and advocacy. 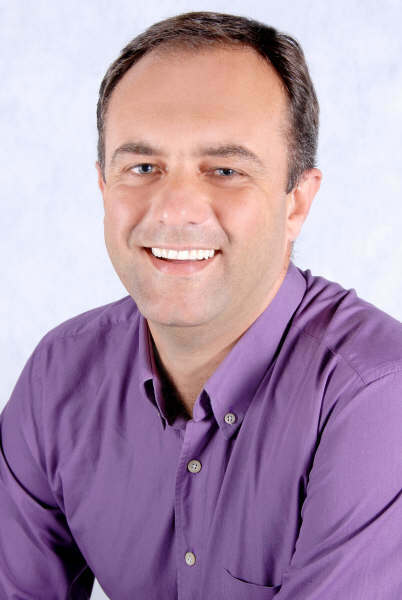 In 2012, he left his job as World Vision‘s national program director for Brazil to return to CADI. Teachings from DNA co-founders Darrow Miller and Bob Moffitt provided the foundation for the establishment of CADI in 1994. “Darrow’s teachings [first heard by Mauricio in 1993] were crucial for the definition of the vision and purpose of my ministry,” he says. “I had the desire to serve the poor communities of Brazil as I could not stand to see poverty in this country with such a strong church doing almost nothing about it. Darrow helped to establish in me a strong, Biblical foundation for this call. It was the first time that I had heard about the importance of a worldview, and specifically, a Christian worldview. I knew that I wanted to be this kind of missionary: a missionary that not only saves souls for Heaven, but a missionary that changes lives on earth. That’s when I decided to come back to Brazil and start a ministry in a poor community outside of my city. The whole teaching on Christian Worldview and comprehension of Christianity as a total system of life and thought was very important for my life. Specific teachings such as the Biblical theology for vocation, the perspective of woman in the Kingdom, “Occupy Till I come,” “Reviving the Reformation,” and others, were also fundamental. I learned that we should apply Biblical truth in the different areas of society at the community level. I learned that it’s much deeper than just using external needs as a platform for proclaiming salvation. It’s about practically asking, “What does it mean to be a Christian and demonstrate God’s love in the field of education or politics or the arts?” These teachings provide us with answers to these questions and the Biblical and theoretical foundation behind them. Sometimes, messages that are silent speak most loudly and penetrate most deeply into human hearts and minds. Think of the awe commanded by a radiant sunset: a powerfully bold yet silent display of God’s artistic talent. For centuries, artists have used their talents to critique culture and force discussion. Today, in Japan, local Christians are seizing an opportunity to engage in contemporary conversations on nuclear energy and the environment from a perspective grounded in biblical truth. “The issues relating to nuclear energy and the environment are becoming very sensitive; they are causing much division among Christian circles. We believe these issues can be communicated more clearly by art than by words,” says Shun Jinnai, co-founder of Friends with the Voiceless International (FVI), the DNA local network in Japan. 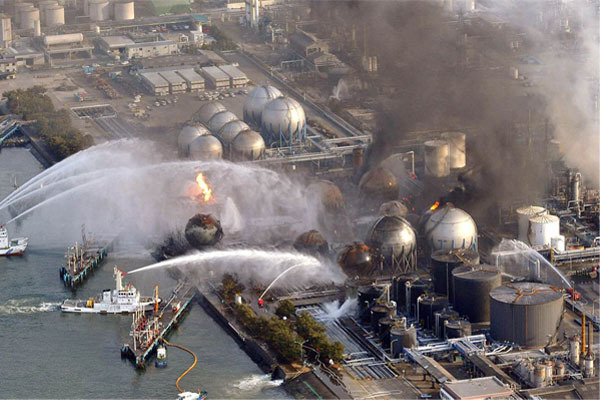 These issues have gained popularity since March 2011, when Japan suffered multiple disasters, including the decimation of the Fukushima Daiichi nuclear power plant, forcing hundreds of thousands of people to evacuate. Two and a half years later, the once-thriving city still is only a shadow of what it used to be. Since the disasters, Shun and his colleagues at FVI have organized four Fukushima Future Forums which gather and mobilize Christians who wish to see the complete redemption of their city and country. The first Fukushima Future Forum in July 2011 had 32 participants. In May 2013, FVI held its fourth Fukushima Future Forum which was focused on the simple yet radical and powerful Kikiya ministry: a strategy that employs active listening in this society where the rate of suicide is higher than in any other developed nation. Kikiya leaders and practitioners from all over Japan gathered to encourage one another and renew their vision for this ministry that now exists in more than 20 Japanese regions. Click the photo to learn more! Recognizing the power of art to influence culture, Shun and others have planned for the next Fukushima Future Forum to focus on a new Art Workshop Project. During phase one of the Art Workshop Project, this November, about a dozen passionate, kingdom-minded local artists will visit the abandoned areas near Fukushima’s nuclear power plants. Then, the artists and facilitators like Shun will spend time discussing biblical worldview and the environment, building upon the ideas from previous Fukushima Future Forums. In the ensuing months, these artists will create–with canvases, paint, clay, and whatever media they choose–works of art that speak loudly to these issues. This Art Workshop Project was inspired by the Reflection Art Gallery and Studios in New Delhi, India. There, artist residencies and workshops for the marginalized “hold a mirror to society” and force dialogue on some traditionally taboo topics. “Gudiya (Toy): Men see women as objects to touch, hold and possess.” By Manoj Kumar, 2008, fabric paint on canvas. “Please pray that the image of the kingdom manifested in Fukushima will be shared and will inspire even nonbelievers so that His will be done in Fukushima and in all of Japan. You may contact Shun Jinnai at shun@karashi.net.